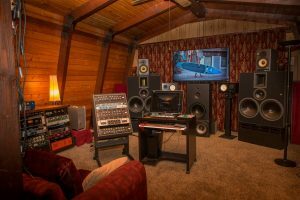 Veneto West Mastering combines the best of Analog and digital processing from Massenburg, Manley, A Designs, Maag, Brainworx and more. Digital conversion is through custom one-of-a-kind converters from Apogee. Monitoring is via Crane Song Avocet II into custom one-of-a-kind mastering monitors from Belgian company FAR Active. Major label and non-album projects: $125/hr. Alternate master versions from the same mix: $25/song. If you are making physical CD, cost of creating DDP masters ranges from $75-150 depending on number of songs.